When you don't have a Target or Walmart, you make do. But I have to say, Kmart is a hidden gem in the city. I stopped by last night, grabbed a diet coke from the the front and slowly combed the store in a post-work 'let's pretend I live in a normal city' trans. I made it to the lamp section where I saw these baby's. Cute, right? I thought so! I know the elephant one is a little crazy, but there is something neat about it! 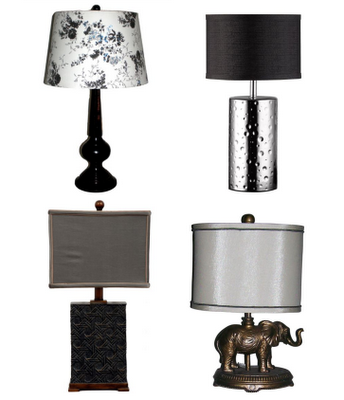 All the Jaclyn Smith lamps were $50 and under. Along with her clothes, curtains and dishware, she seems to know what she's doing at Kmart!